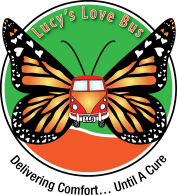 The mission of Lucy’s Love Bus™ is to improve quality of life for children with cancer and life-threatening illness, to support their families, and to mobilize the next generation of cancer activists. Lucy's Children™ Integrative Therapies program offers funding on an individual basis to children with cancer for integrative therapies in their home, at the hospital, or on hospice. Please click here to learn more. The Sajni Center is our new space of hope and healing in Amesbury, Mass. for children with cancer or life-threatening illness and their siblings and parents/legal guardians to gather and grow together. Programs include: Aerial Yoga for Kids (and Parents), Reiki Workshop for Kids, Barn Babies Animal Therapy, Deep Gong Meditation, Yoga for a Tender Heart and more! Support groups for siblings, parent couples, and relapsed children and their parents. Click here to see the calendar of upcoming events. The Healing Room™ program offers integrative therapies in New England hospitals. Programs are currently offered at Tufts Floating Hospital in Boston, Baystate Medical Center in Springfield MA, UVM Children's Hospital in Burlington. Soon to be offered at Hasbro Children's Hospital in Providence, and two programs formerly at Barbara Bush Children's Hospital in Portland. Lucy's LoveSquad™ (grades 4 through 12) encourages children to #LiveLikeLucy and proves that young people are capable of making a BIG difference! Our programs are designed to work in conjunction with Common Core curriculae in the nation's public and private schools, and is easily adaptable for all ages.